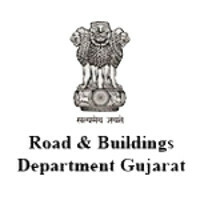 Road and Buildings Department Gujarat Recruitment Notification 2018.Road and Buildings Department Gujarat inviting applications for the positions of Assistant Engineer, Additional Assistant Engineer.Interested and Eligible candidates can apply for the positions. Qualification: Candidates Should Have completed the Diploma, B.Tech/B.E in reconized university. Interested Candiadtes Can Apply through the official Website www.rnbgujarat.org on or before 31-08-2018..
i. Online Registration Starts From : 16-08-2018.
ii. Online Registration Ends On : 31-08-2018.